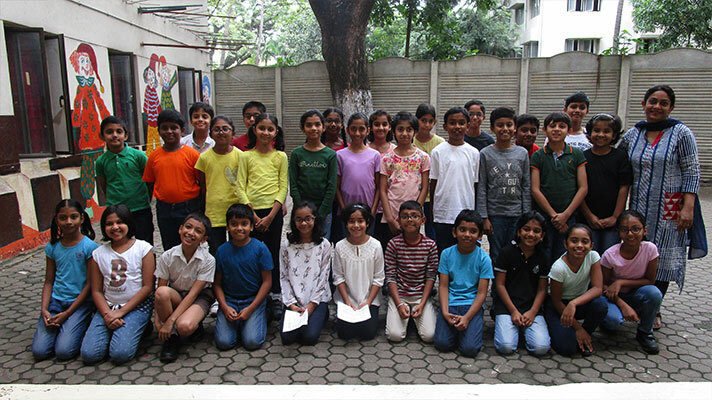 The students of class 4A shared their views and thoughts on the topic - Happiness - the joy of giving with a dramatic interpretation to explain the meaning of UBANTU and that the act of giving is precious. They conveyed the message that happiest people are not those that are getting more, but those giving more. 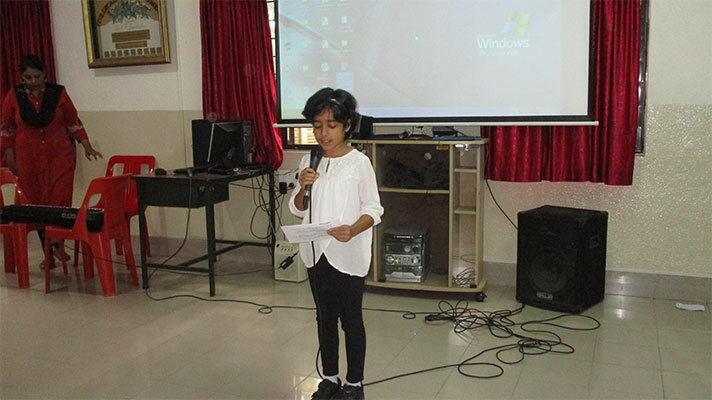 Children shared their thoughts using poems, quotes and a song on happiness. The assembly ended with the news and quiz based on assembly. 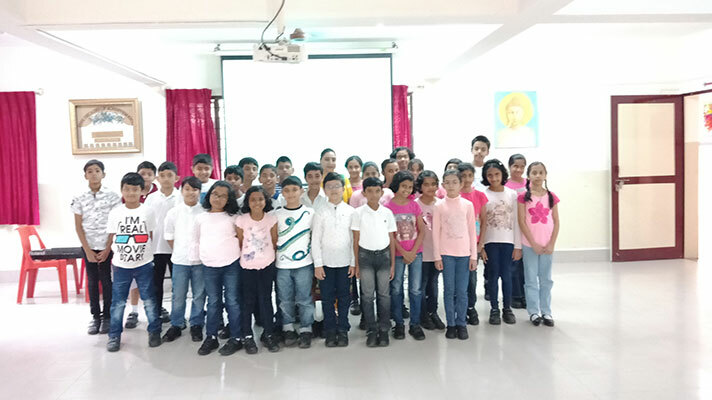 The topic for class 4B assembly was appreciation - for what we have and also to learn to appreciate others for what they are and what they do. The assembly began with a short video clip which emphasized the importance of appreciating what we have. It was followed by a poem, some quotes and a song. The news headlines for the day was also read. 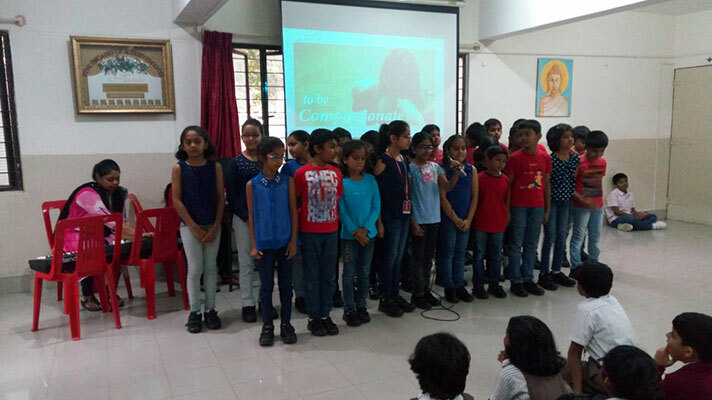 The topic for class 4C assembly was "Humanity". The assembly started with a talk on humanity, followed by a video. 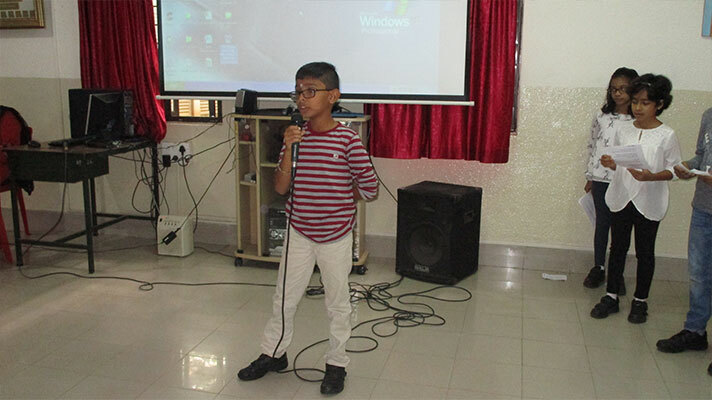 The children were then asked to share their views about the video. This was followed by a song (Another day in paradise). The news was then read out by the students followed by a thought for the day. 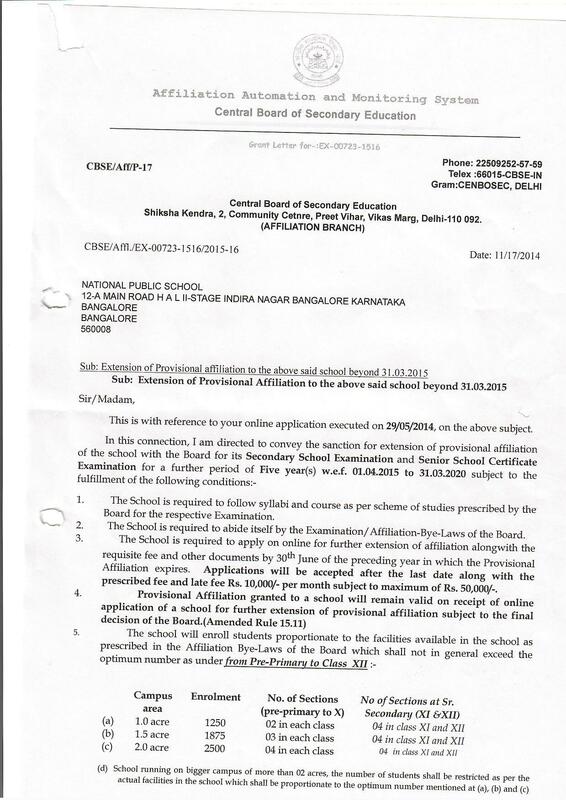 The assembly concluded on a note saying that "love and compassion are necessities and not luxuries. Without them humanity cannot survive". 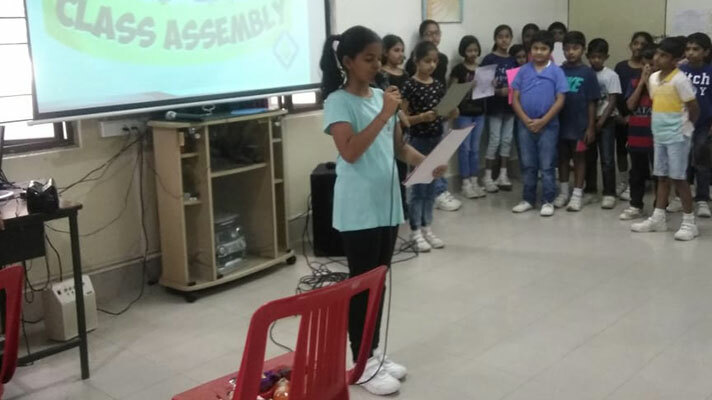 The students of grade 4D presented their assembly based on the value of "sharing". This was brought out through a short skit which emphasised the importance of sharing even when one doesn't have too much. 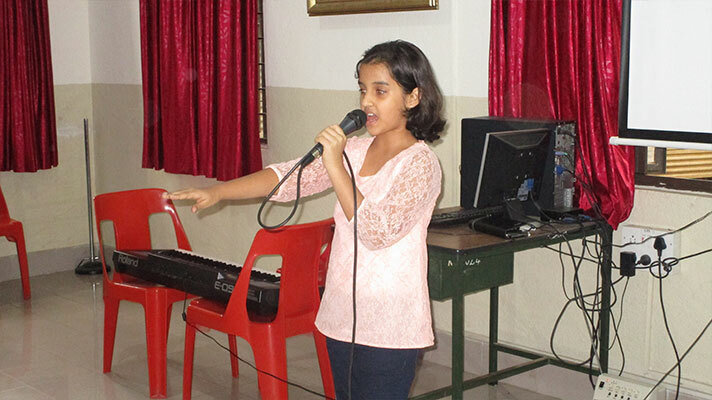 This was followed by a lively song and a short poem to lighten the mood of the audience. 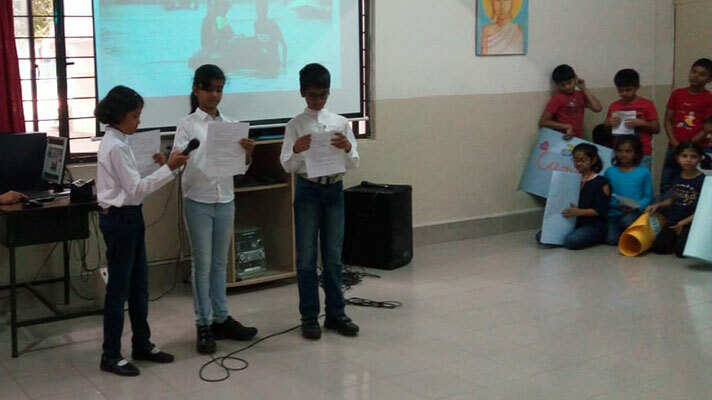 In culmination, the news readers presented the news and the thought for the day which highlighted the topic.